Bridges have played an essential role in settling Arizona. Railroads built spans across natural impediments like Canyon Diablo and the Colorado River. 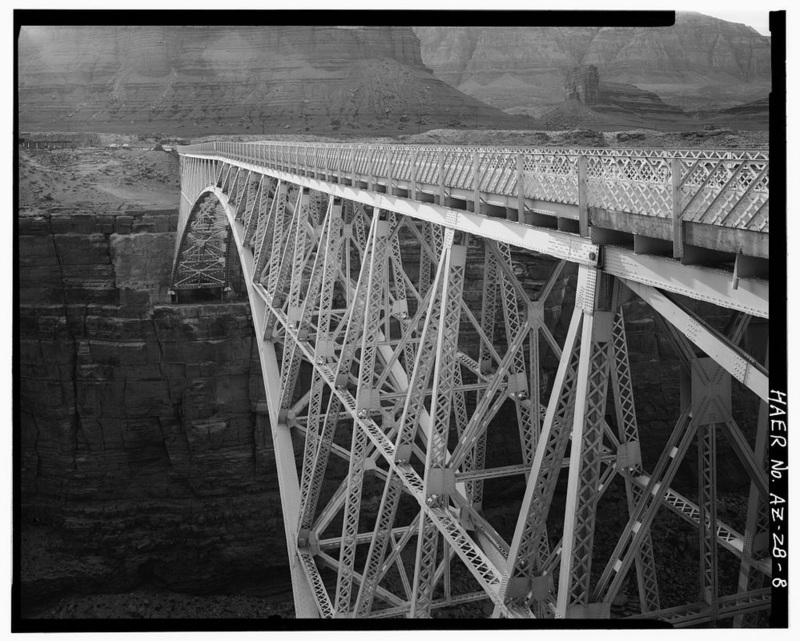 In 1929, Navajo Bridge replaced Lees Ferry, a crossing that operated for 55 years on the Colorado at Marble Canyon. 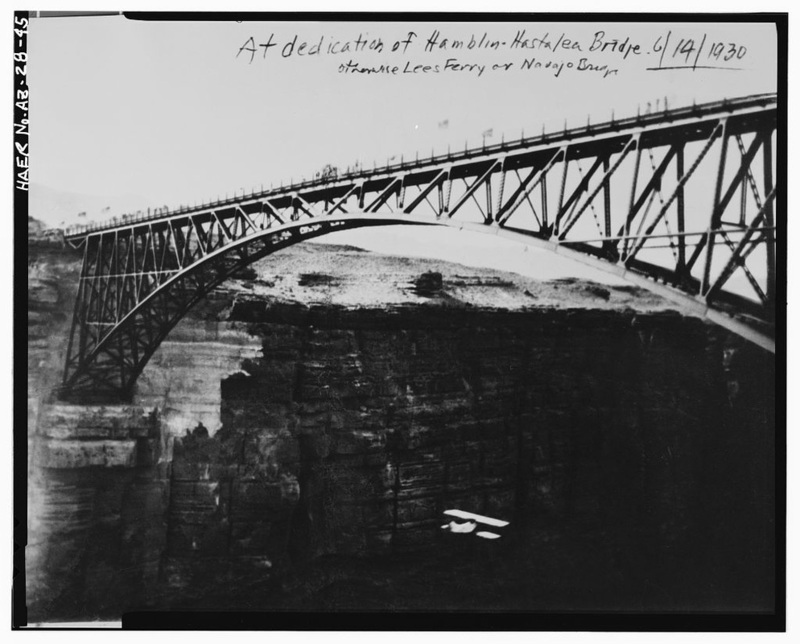 The bridge opened highway travel across Northern Arizona and Utah as the first bridged crossing of the river for 600 miles. Midgley Bridge, completed in 1939 over Wilson Canyon north of Sedona, is a smaller but similar design to the 1929 Navajo Bridge. A new, wider Navajo Bridge opened to traffic in 1995. Pedestrians now use the old bridge as a scenic overlook of the river 400 feet below the bridge deck. In 1911, the 660-foot Cameron Suspension Bridge was built across the Little Colorado River east of Grand Canyon. It provided a pivotal link for Navajos and Hopis to Flagstaff. In 1916, Hubert Richardson built Cameron Trading Post with a store and four cabins to trade with the Navajo cattlemen of Gray Mountain. 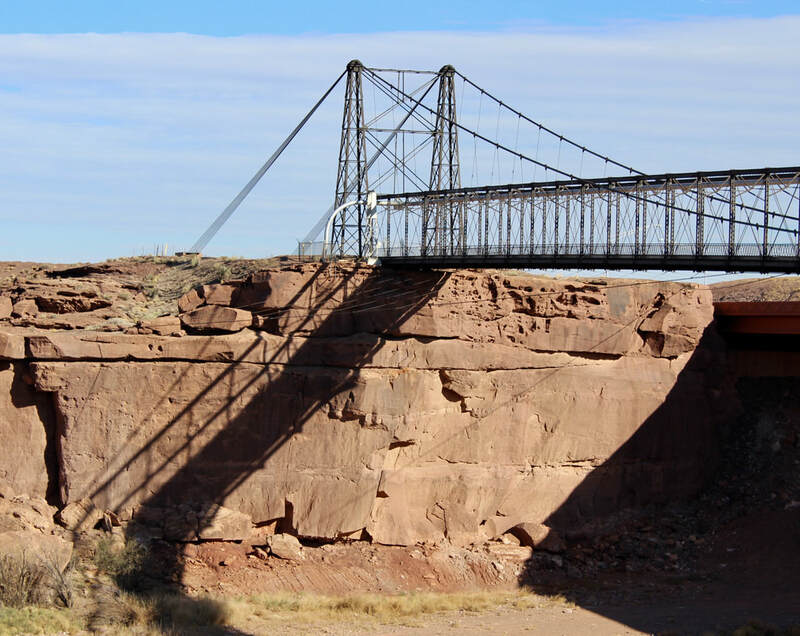 The Cameron bridge nearly collapsed under the weight of a sheep herd in 1937 but was repaired, according to a federal study of Arizona’s bridges. 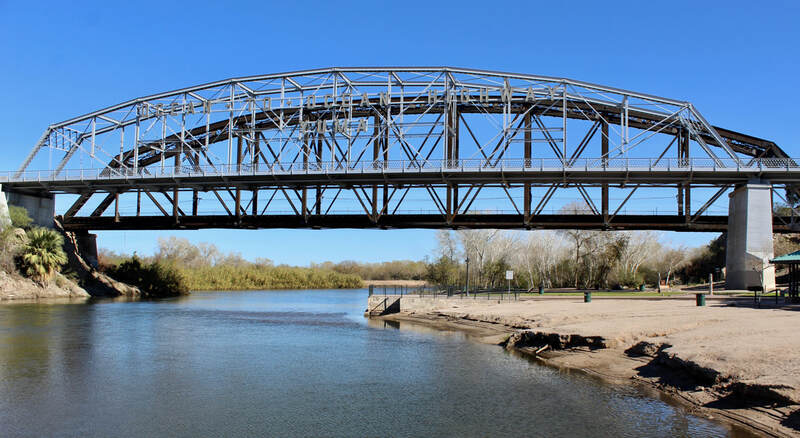 A similar suspension bridge built over the Gila River near Yuma in 1929 had a main span of 798 feet. It was named the McPhaul Bridge, honoring Yuma lawman Henry Harrison McPhaul. The graceful span was replaced in 1968 when the river channel was altered. 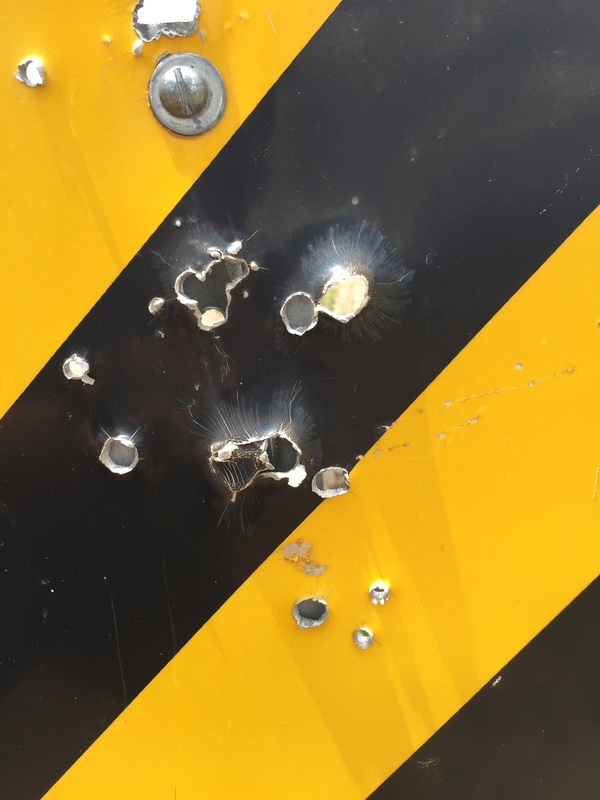 ​The newer bridge, serving traffic on US 95, washed out in 1993 and was replaced. 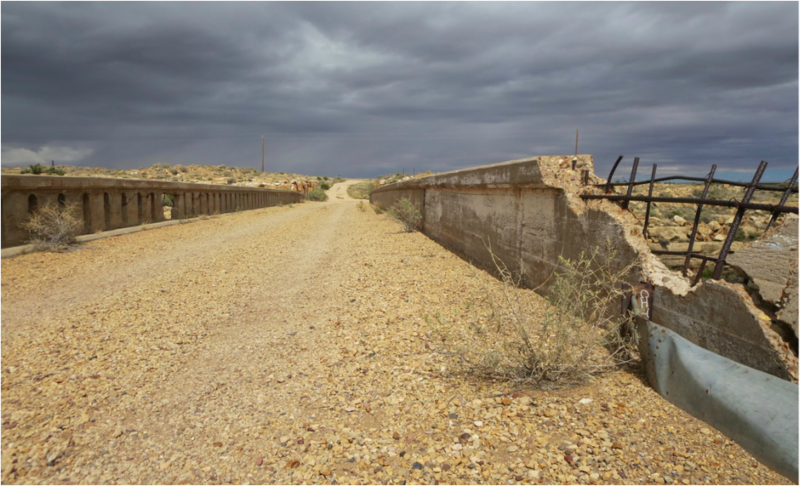 The McPhaul Bridge, marooned over a generally dry wash, is now known as the "Bridge to Nowhere." ​Arizona statehood in 1912 occurred just at the dawn of the automobile age. Highway engineers got busy building roads and bridges across the state in the decades that followed. In Yuma, the Ocean-to-Ocean Bridge was the first highway crossing on the lower Colorado River. Starting in 1914, it carried travelers on U.S. 80 between Arizona and California until 1988 when it was deemed unsafe. Yuma and the nearby Quechuan Indian Tribe paid to restore the bridge and it reopened in 2002. The Topock Bridge or Old Trails Bridge was another key link across the Colorado. It was the longest steel arch bridge in America at 832 feet when it was built in 1916. Route 66 crossed the river on the Topock Bridge, which carried automobile traffic until 1948. It’s now used as a span for a natural gas pipeline. 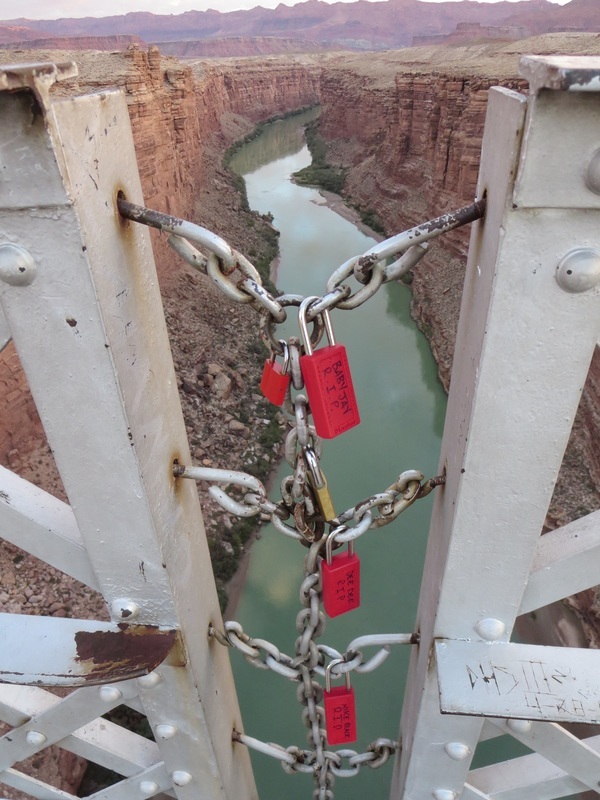 Memorial locks on the historic Navajo Bridge over the Colorado River. John Steinbeck's Joad family crossing from Arizona into California. The Topock Bridge is just upriver from one of Arizona’s most famous bridges — the London Bridge at Lake Havasu City. The original London Bridge over the River Thames was built in 1831. ​Lake Havasu City developer Robert P. McCulloch bought the 952-foot bridge and its granite stones in 1968 for $2.46 million. He rebuilt it using granite veneer over a steel framework. The reconstructed bridge over Bridgewater Channel was dedicated in 1971. You could say London Bridge is 47 years old or 187 years old. 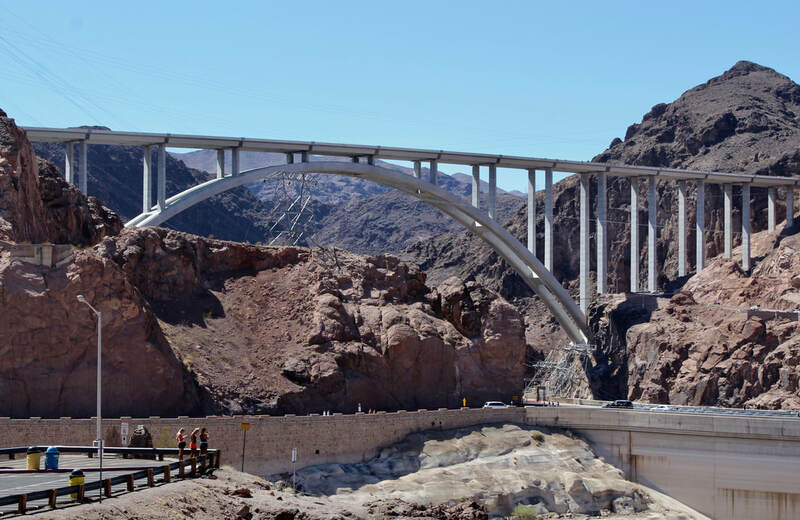 One of Arizona’s newest bridges is the 2010 Hoover Dam bypass bridge at the state line where US 93 crosses into Nevada. It is the Mike O’Callaghan - Pat Tillman Memorial Bridge named for a former Nevada governor and Tillman, an Arizona football star who was killed in Afghanistan after giving up his lucrative NFL career. It is the second highest bridge in the United States at 890 feet with a span of 1,060 feet. The 1929 Royal Gorge Bridge in Colorado is the tallest at 955 feet with a span of 938 feet. There is a pedestrian walkway on the Hoover Dam Bypass Bridge with terrific views of the dam. It's accessible from the Nevada side. 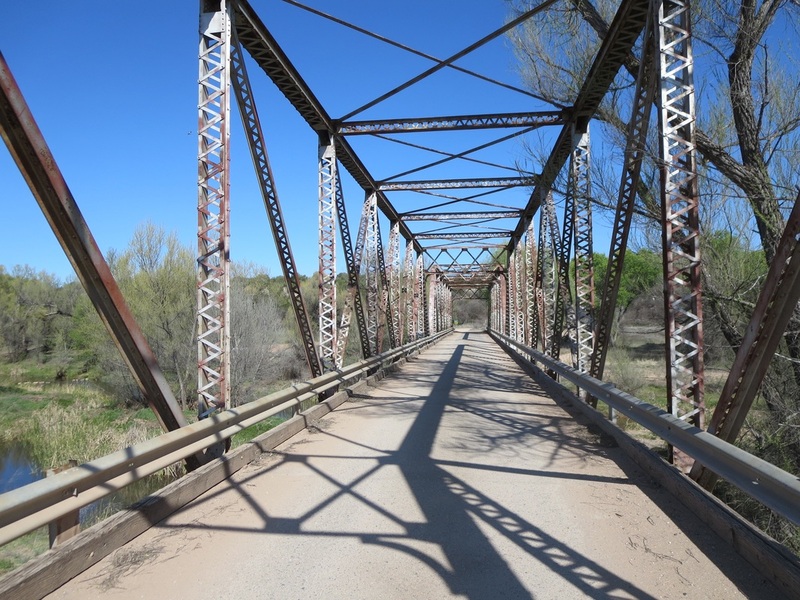 ​Another historic bridge is the one-lane Chevelon Creek Bridge southeast of Winslow that served traffic on the National Old Trails Road starting in 1913. It was restored a century later. Cameron Bridge spanned the Little Colorado in 1911 at what had been known as Tanner's Crossing. It now carries a pipeline but not traffic on US 89. Mike O'Callaghan-Pat Tillman Memorial Bridge from the Arizona side. President Franklin D. Roosevelt dedicated Hoover Dam Sept. 30, 1935. 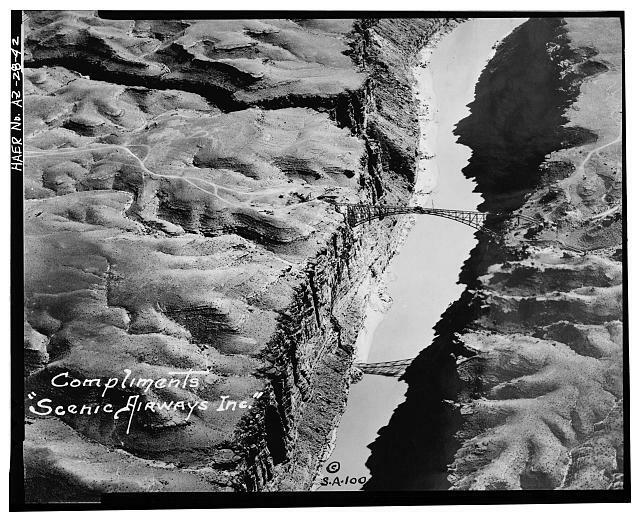 Ocean-to-Ocean Bridge opened in 1915 as the first highway crossing of the lower Colorado River. It was part of the Ocean-to-Ocean Highway and U.S. 80. 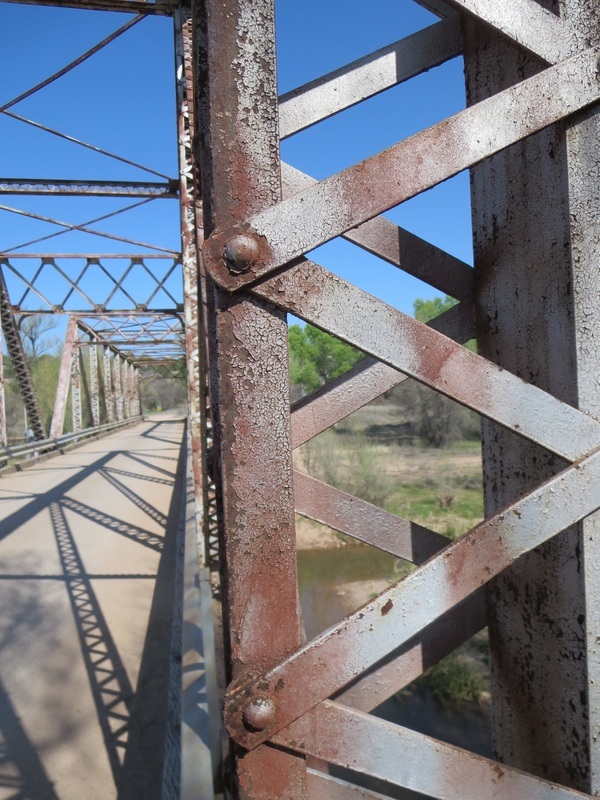 The Perkinsville Bridge over the Verde River originally spanned the Gila River near San Carlos in 1913. It was moved to the upper Verde in 1936. This crumbling bridge was part of Route 66 at Canyon Diablo in Two Guns, 30 miles east of Flagstaff. The ruins include a zoo with mountain lions. London Bridge was rebuilt in Arizona in 1971. It opened in England in 1831. 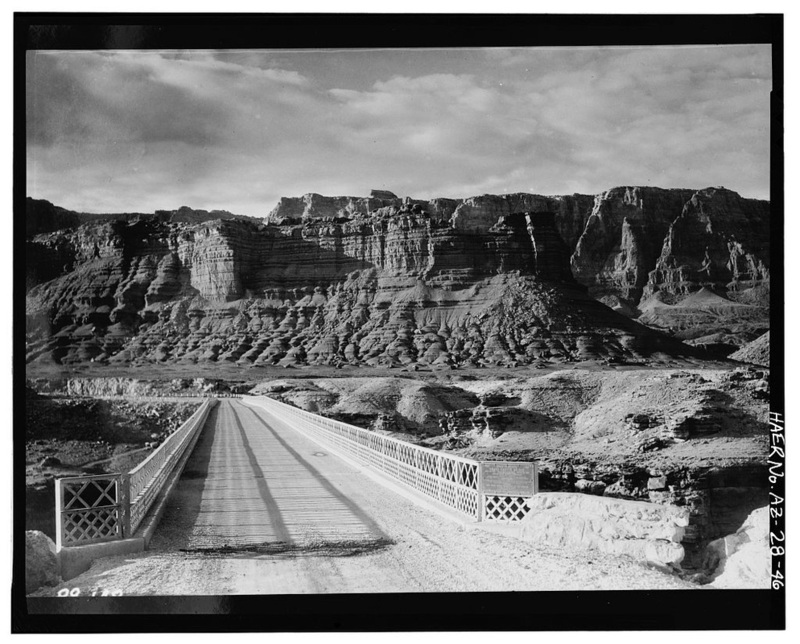 This 1911 Cameron Bridge, which was damaged by a herd of sheep crossing it in 1937, carried traffic on US 89 over the Little Colorado River until 1958. Topock Bridge, built in 1916, once carried Route 66 traffic over the Colorado River into California but now is used for a natural gas pipeline. 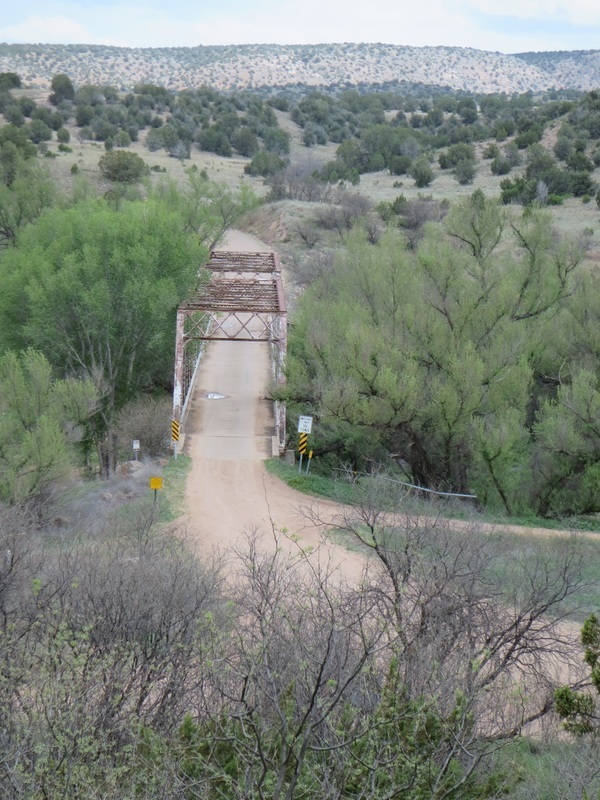 Chevelon Creek Bridge was built in 1913 southeast of Winslow. Mike O’Callaghan - Pat Tillman Memorial Bridge is named for an ex-Nevada governor and an Arizona football star killed in Afghanistan warfare. 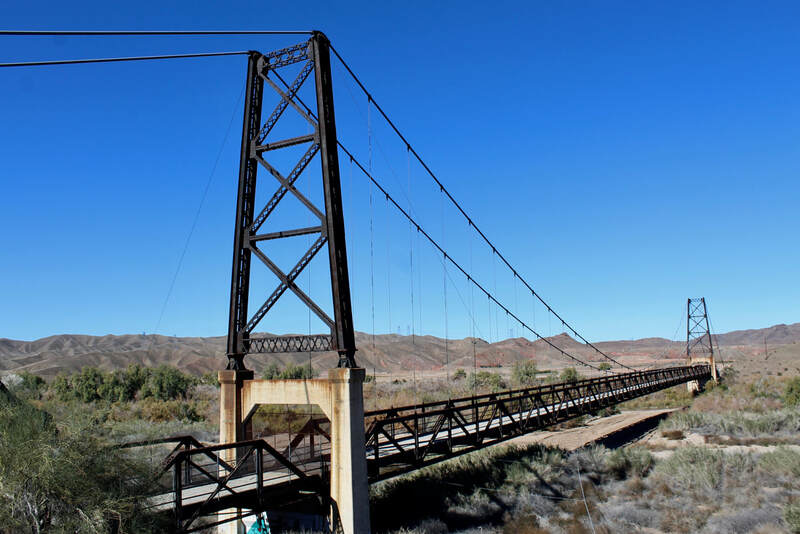 McPhaul Bridge is a 798-foot suspension bridge built in 1929 near Yuma. The Gila River channel was altered and a new bridge opened in 1968.